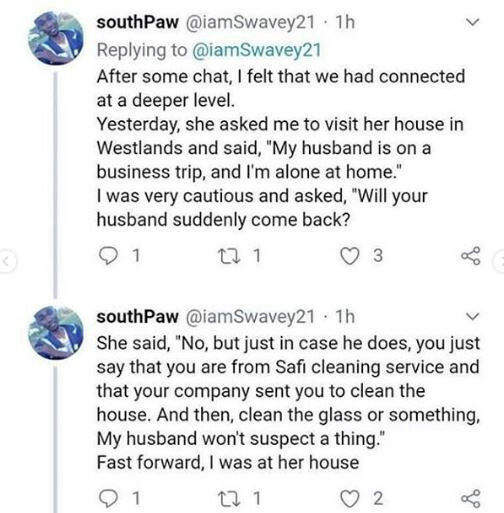 A Twitter user has just shared a thread on how he was used to cleaning a house in an adulterous adventure gone wrong. 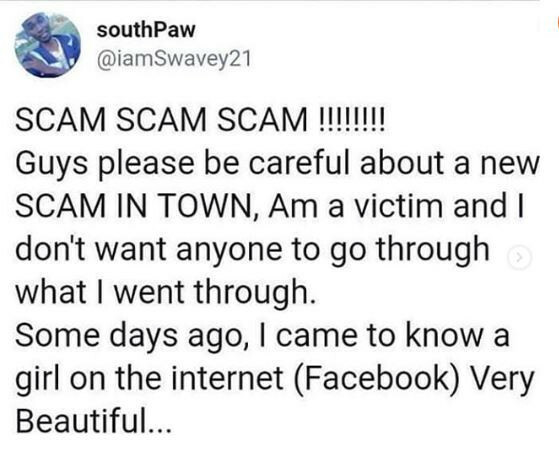 According to him, its a new type of scam that people need to be aware of. 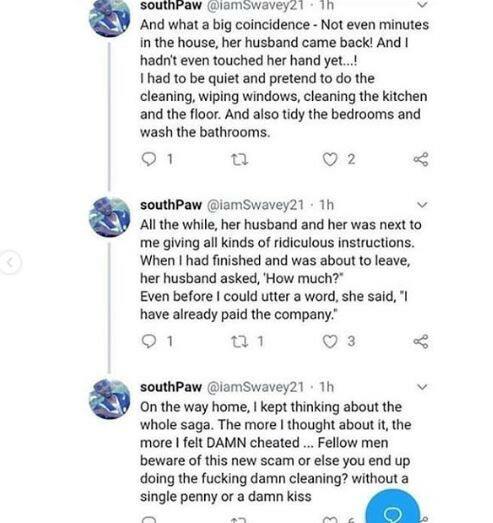 That is your reward stupid man, you are comfortable in another man house with is wife even when she told you that her husband is not around. Abeg,dis na joke wey don pass around for a very long time and someone wants us to believe it happened to him. Gullible lies.